Pleasant Valley campground offers about 200 at large (not numbered) single-family campsites located in the Owens River Gorge – along the Owen’s river. The campground has about 75 reservable campsites and is open year round on a first-come, first-served basis. Campground amenities include drinking water and vault toilets. Most of the campsites also have a table, fire ring and grate. There are no hookups or shower facilities available. Outdoor recreation activities include year round fishing in the Owens River. You can also float a canoe, tube or kayak down the river. Other activities include hiking, mountain biking, OHVing, horseback riding, picnicking and wildlife viewing. The towns of Bishop and Mammoth are also nearby if you need supplies or break from camp cooking. You may also like Horton Creek campground. 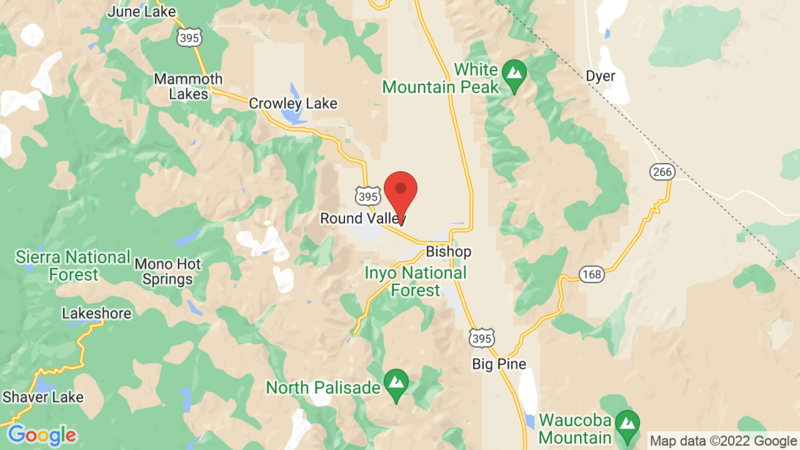 It’s located across highway 395 and is about 7 miles away. Visted Pleasant Valley Campground lately? We'd love to hear about your adventure. Did you find us useful? Did we forget something? Anything our community should know before heading out to Pleasant Valley? Campsite is great, however, do not leave food or even coolers out. Aggressive Raccoons. They will claw open anything with food. They do not just turn and run if you shine a light on them. Tons of raccoons looking for food!